Credo offers high-performance, mixed-signal semiconductor solutions including advanced serializer-deserializer (SerDes) IP and interconnect solutions. The company’s products are used to scale bandwidth and deliver end-to-end signal integrity in next-generation platforms requiring single-lane rate 25G, 50G, and 100G connectivity. Robust signal integrity is critical to designing and deploying the the system level boxes required for the next generation cloud-scale datacenter, high performance computing, and enterprise build-outs. 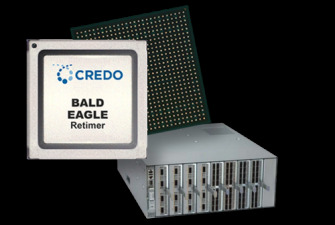 Credo’s high performance solutions deliver the long reach performance at the industries lowest power making them ideal for designer to use on backplane, line-card, and in ACC.